How to Retriever a Lost Windows Password from Safe Mode? Windows Safe Mode, known as a diagnostic and troubleshooting mode of Windows System, is intended to rescue the system in case one could not boot into Windows normally. While in Safe Mode, Only the bare minimal device drives and system files are loaded and it is especially useful for fixing the computer If you have any problems booting the Windows system. Here is the most common situation: When your PC has been hacked, the hacker may change you login password. If you do not know the Windows password, how can you retrieve Windows Password? How could you retrieve a lost Windows password from Safe Mode? Attempt to login to Windows System with a user account with administrator authority, you can use the administrator account to change other user account password. Since many people didn’t set a password for the default Administrator account, you can also use the default Administrator account to login into your locked system and retrieve Windows password. Restart your PC or turn it on. When you see the blue screen, press the “F8” key about 3 times a second before the Windows splash screen appears. You should get into the Windows Advanced Options menu. Using the (Up or Down) arrow keys on your keyboard to highlight “Safe Mode”. Press “Enter”. The system should boot into Safe Mode. Once An Account Logon Screen displays, click on the icon for the default administrator account. The default administrator password is blank if you never set a password for it before. Note: It is similar with the normal logon screen. But for normal mode the Administrator account isn’t normally shown so you have to press Ctrl+Alt+Delete keys twice to show. When you see the desktop, then you can follow these steps to change the forgotten Windows password. Double click “Local Users and Groups”, and then click “Users”. Your login name will list on the right hand side. Right click on the account which you need to retrieve the forgotten password, and click on “Set Password”. Set a new password or leave the New Password box blank, and do the same for the Confirm Password box. Click “OK”, and then close all Windows. Reboot the system and try to log in with the new password. Sometimes, to enhance security, computer users may also password protect the default administrator account. Now you forgot administrator password, how can one retrieve lost administrator password. 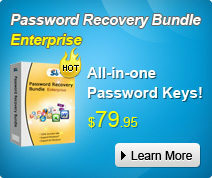 I think only applications that can help to recover lost Windows password for you. Download Smart Key windows password retrieval Tool, This type of tools is usually used to retrieve Lost Windows password on any Windows System. Install the program and then run in on an available PC. Burn the application program to a blank CD/DVD or USB Flash Drive. Take the boot Windows Password Reset CD/DVD or Windows Password Reset USB that you have burned and insert it into the computer whose Administrator password needs to be retrieved. Change your PC’s setting to make it boot from the CD/DVD or USB Flash Drive. Select the Administrator account that you have forgotten the password, and choose to either reset the password or completely remove it. Restart the PC. Log in to the operating system on the Administrator account using the new password you have just reset. If the above information does not help in retrieving a lost Windows password, the only option left is to format the hard drive then reinstall Windows system. This always results in data losing. So I do not recommend. Every time the people forgot Windows administrator password and ask me for windows password retrieve solutions. I always told them to use Windows Password Retrieve applications and it never makes my friends disappointed. It is safe and easy to retrieve windows password without data lose. How to Break Windows administrator password?